4K camera, razor-thin bezel, powerful speakers. What's next? The latest LG G Pro 2 leak suggests that the upcoming flagship will sport impressive 1W speakers and a "thickened bass booster" that will blow the competition away. This tidbit comes from ETNews, a Korean site that's spilled similar beans more than once in the past. 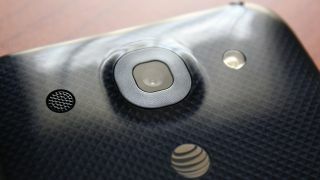 The speaker improvements will reportedly result in a stronger, fuller sound than other smartphones in general, and a 30% stronger sound compared to the LG G Pro 2's predecessor, the LG Optimus G Pro. The G Pro 2 will reportedly also have a dedicated "Smart Listening" app to control sound output settings. LG will unveil its G Pro 2 at MWC 2014 in Barcelona this month. In addition to the awesome speaker, the new LG flagship is rumored to have a razor-thin bezel that will enhance its 1080p screen. That display is reported to be anywhere from 5.7 to 6 inches, and with such a thin bezel it will look even bigger. On top of that LG has confirmed that the G Pro 2 will sport a 13-megapixel camera with optical image stabilization and 4K, slow-mo video capabilities. Other expected specs include a Snapdragon 800 processor, 3GB of RAM and Android 4.4 KitKat - but the rest is still a mystery. Watch out for more as Mobile World Congress gets closer and closer. Not to be forgotten, here's our LG G2 review!